You can reduce your carbon foot print, cruise around the Palouse on a Citizen 2 Hybrid Bicycle, and support Radio Free Moscow. KRFP is raffling a brand-new Jamis Citizen 2 bike. 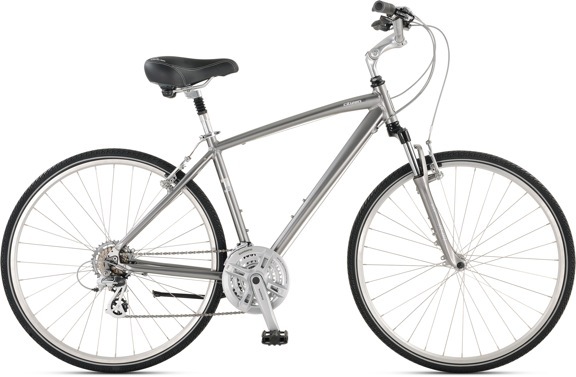 The winner will receive a customized 2014 Citizen 2 Hybrid from Rolling Hills Bikes. Tickets are 5 dollars for one ticket or five tickets for 20 dollars. You can buy raffle tickets on line or stop by the station at 114 East Third Street, and enter via the alley. You can find us at Farmer’s Market Saturdays in Friendship Square from 9 am to 1 pm, and you can buy tickets from our KRFP deejays. Tickets are also available at Tye Dye Everything 527 S. Main St. in Moscow and 12 Mile Market Farm Store 3820 HiWay 8, just outside of Troy (open Saturdays & Sundays only). The winner will be announced in late October when KRFP celebrates our 10th Anniversary. Money raised will help keep the programming you hear on the Palouse Region’s only community radio station rolling from our antennae on Paradise Ridge. You need not be present to win. The winner will receive a customized Jamis Citizen 2 Hybrid Bicycle from Radio Free Moscow’s raffle partner Rolling Hill Bikes located on 6th Street in downtown Moscow. How can you lose? Buy one or one hundred tickets. When you purchase a raffle ticket you support free speech and progressive values, and you just might win a brand new bike! KRFP staff and Board Members and their families are not eligible to win this raffle. KRFP volunteer deejays are eligible to win.